Becoming a nation is more than just freedom. to the entrance of the Promised Land. Read it to know Him. 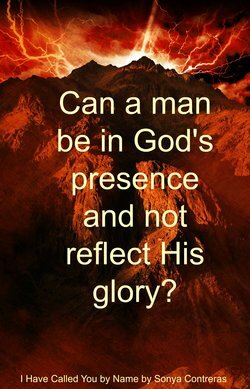 To be His people set apart for Him. 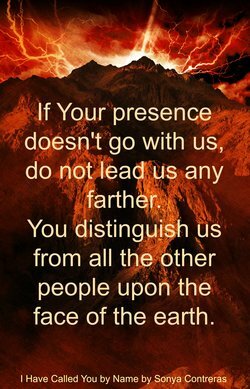 The Israelites are not ready to be God’s people. They want their land without any conditions, but God has other plans for them. He calls them to be His. Some chafe against His restrictions. Others find safety in His boundaries. But all must depend upon God to reach their land. Read God’s story and theirs as He calls the Israelites to be His people set apart for Him. Do you wish to know God? Seek Him with Moses. Do you wait for a companion? Wait with Hannah. Do you want to belong? Struggle with Zipporah. Do you feel helpless to protect those you love? Find strength with Adlai. Do you find giving up the past difficult? Let go with Reut. Do you struggle to control others? See what Miriam learned. Are you threatened by others? Find your place with Aaron. God has freed the slaves! The Hebrews, led by Moses, escaped from Egypt and enter the desert wilderness where God spends years building them into His people — people He has called by Name. This wilderness journey, as told by the author who carefully follows scripture, is portrayed with an intimacy that brings the reader along the trail to becoming God’s own people. 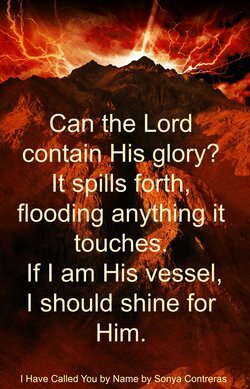 Feel the grit of the ever-present sand, thirst when there is no water, wonder at God’s daily provision of manna, look to the cloud and the fire for guidance. Struggle with Moses as he leads this stiff necked people according to God’s loving instructions. Mourn with Moses as he sees the people’s sin. Root for Moses as others covet what they consider his power and scheme to take it from him. It is rare to be so completely involved with the characters in a book, but they are real people and someday we will know them in Heaven. What blessings! A combination of scriptural and fictional characters demonstrate the gamut of faith journeys — from doubt and rebellion to steadfast faith, obedience, and trust. This is a picture of God’s love for His people and of His character as He shows His holiness in compassion, patience, and judgement. 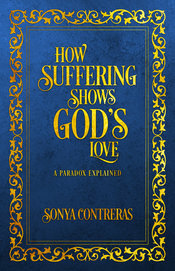 the characters puzzle over who God is — the author provides answers, with profound biblical wisdom. Those answers are the same today, as we live our lives in relationship with God. 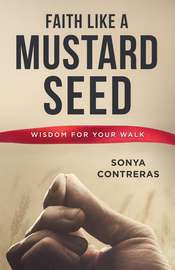 There is a treasure house of Godly wisdom in this book. Together with scripture, this book could effectively used as powerful discipling tool. Hugely edifying, engaging, and entertaining, I Have Called You by Name, is a “must read” for anyone who hungers for fresh glimpses of the One True God, or for anyone who is soul searching for Truth. the Biblical account of the Hebrews in the wilderness after they are free from the slavery in Egypt. 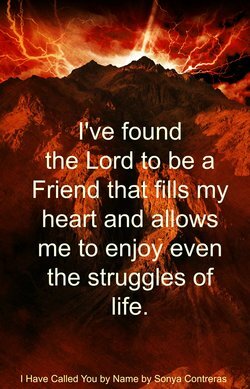 It shows dependency on God for life and breath and how he provided for their basic needs one day at a time. It was a hard thing for Moses to be the mediator between a holy God and the sinful people and for the people to understand God's role for Moses. Reading this made me even more thankful that God sent His Son Jesus to be our mediator today! I read the first book and really enjoyed the history of it come to life and was eager to read this second book that continues their journey up to the Promised Land. I received no payment for this review except a free book. 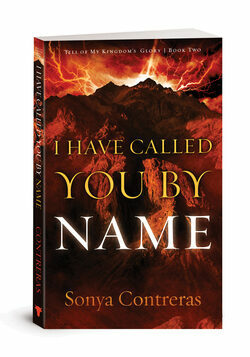 The book "I Have Called You by Name" shows how Israelites were not ready to be God's people. They knew of God, but coming out of slavery they thought they were ready to occupy the promise land without really knowing God. God reminds the Israelites and us of God's holiness and how God uses trials and affliction to teach us how to depend on Him and there are consequences for disbelief and blessings for obedience by faith. The book made me want to go back and re-read a familiar biblical account I thought I knew well. The way the events of the book were described were like being there in the middle of all that was happening. I highly recommend this book as a must read for those who want to experience being there. I enjoyed the book very much. It made me think of some of the feelings and emotions that Moses, Aaron and others might have felt and had to deal with during their long journey in the wilderness. Things I had never considered before reading "I Have Called You by Name". I have received no payment for this review except a free book that I plan on reading again. 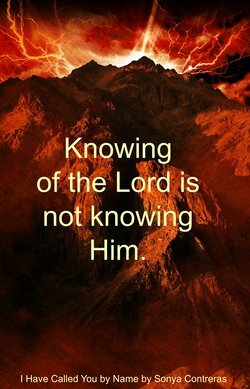 The Israelites knew God by name, but they did not really know Him. During the 40 years in the desert they truly became His. 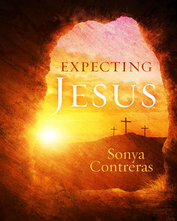 The Bible hits the highlights of the Israelites time in the desert, but Sonya reveals the valleys of day to day living as they learned who their God was. 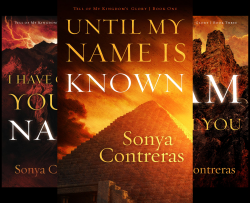 This is the second book in the Tell of My Kingdom’s Glory series. After reading the first book, I was really looking forward to this one, which I like very much. It put me right there in the desert with these people who are so much like us. I received a free book for this review, but no payment. This book is a story of the travels of the Israelite people from the time they left Egypt to the time they were ready to enter the Promised Land, based on the Scriptural account found in the books of Exodus, Numbers, and Deuteronomy, and other archaeological and historical records. The path to become God's people is not smooth, and there are many setbacks and tragedies along the way, because of the rebellious hearts of the people. But God is faithful, and He continues to provide for them as He patiently conforms them to be His people, and keeps His promise to give them a land for their own. In our culture, the idea of the holiness of God is not a popular concept. The account of the events of the Israelite's journey from the slavery of Egypt to the freedom of their own land served to remind me of the importance of God's holiness. The consequences of the people's rebellion were sometimes very harsh, but the eternal consequences would have been much harsher had God not acted. Extreme measures were sometimes necessary for God to keep His promises. 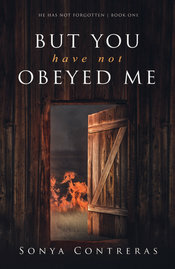 I really enjoyed the book because of the many practical biblical concepts that were woven into the story. Some of the lessons included the importance of trusting God even when you do not understand what He is doing, realizing that God is faithful even when you are in the midst of trouble, knowing that victory comes from God alone, and that walking with God is about His glory, not ours. These kinds of lessons are found throughout the book. I felt like I really got to know the characters in the book. Some of the characters were actual characters from the biblical history, and others were created from historical and archaeological research. I felt like the author captured what it must have been like to be on that journey. I felt the joys, sorrows, and questions that the characters undoubtedly had on the journey. It is a powerful reflection of God’s Word. For those who haven’t read the story in the Bible, I can only think it would make them want to learn more about this God. And for those who have, it brings the account to life. Truth is, I have read books with good and bad endings. This book isn’t like either one. But your book is really the best because it contrasts the eternal life and hope of those who know God against the black, hopeless lostness of those who turn from Him. And that’s balanced truth. Which is why God makes it so plain in His Word. Read the book? Would like to give your impression of the book? Here's your space. "The Israelites were not ready to be God's people, They wanted their land without any conditions, but God had other plans for them. He calls them to be His. Read God's story and theirs as He calls the Israelites to be His people set apart for Him." tho I was taking it with them. I loved the book. Once I started it I could not put it down. 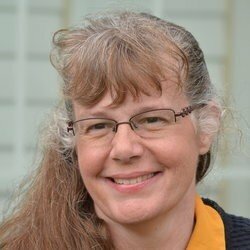 I look forward to your next book.' One of my daughters is reading the first book and another one is reading this one. I received no payment for this review except a free book. You have my permission to use my review for marketing purposes.